Grill Mats, Non-stick Solutions for healthful and easy grilling life! 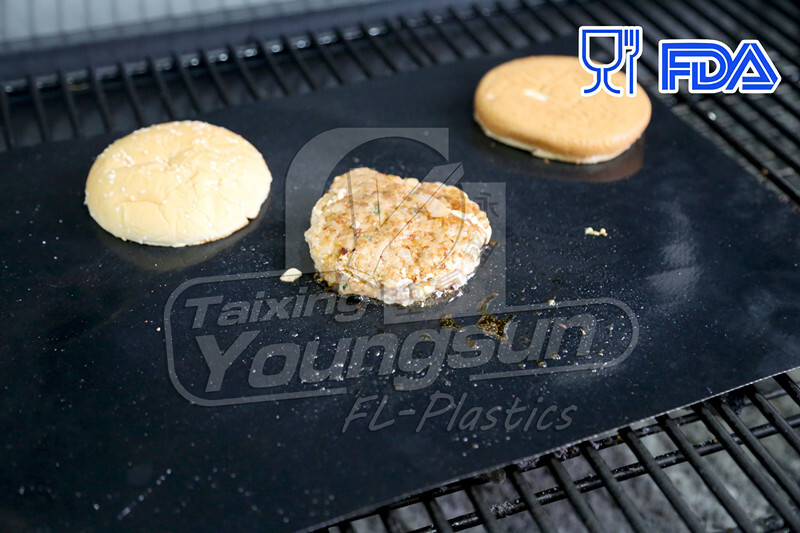 Our BBQ Grill Mat would help you have a superior grilling experience you will ever have. 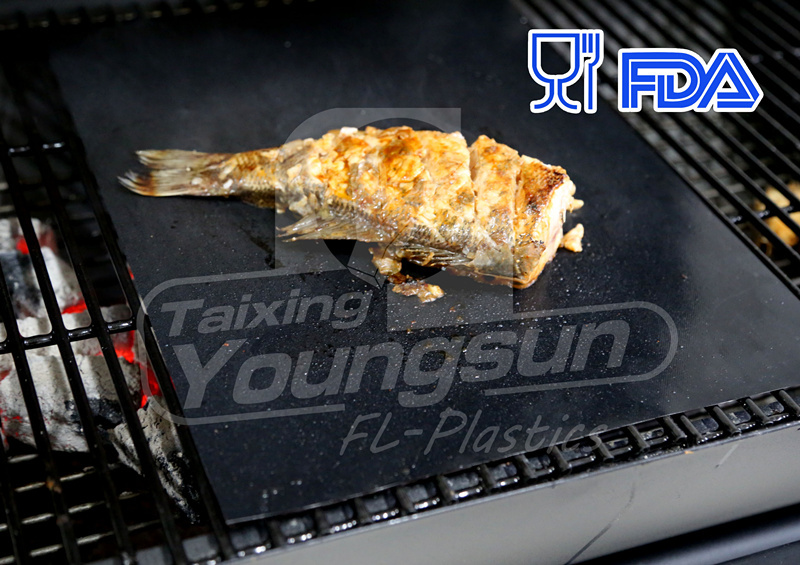 This mat is non-stick and food-standard, grilling would be funny and simple by using it. And our BBQ Mat is perfect for any food, like fishes, pizzas,vegetables, meats,eggs & etc. You can place any food you want on the mat without worry of sticking. What is the Grill Matts? 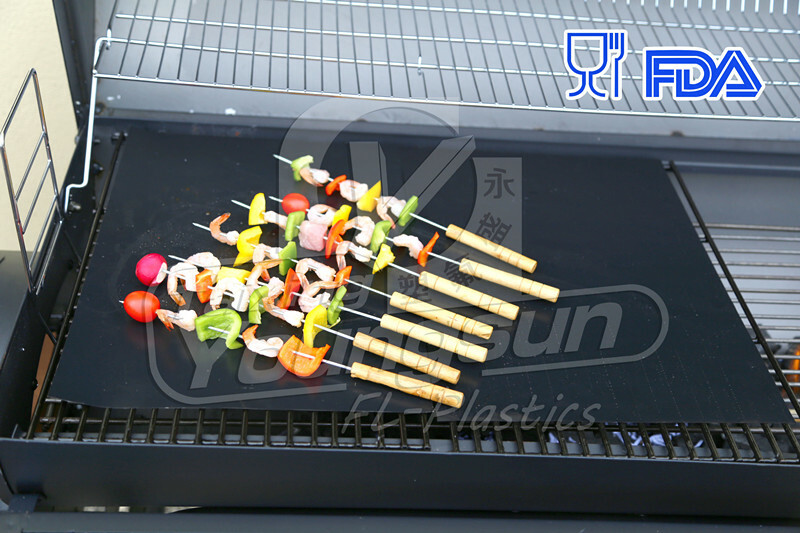 Our BBQ Mat is specially made of imported PTFE and superior glassfiber. All the mats are FDA and LFGB certificated, could make sure 100% safe to use. With our efforts, this mat could be made as pad, basket or open mesh mat. - This mat is non-stick and washing safe, easily clean in dishwasher or with soapy water. - Would always have a brand new grill by using this liner! - No oil would need to add, Barbecue would be healthy. - All mats are FDA certificated, have no harm to health. - But don't contact directly on the fire. - Small items like beans could be grilled without falling through the cracks. 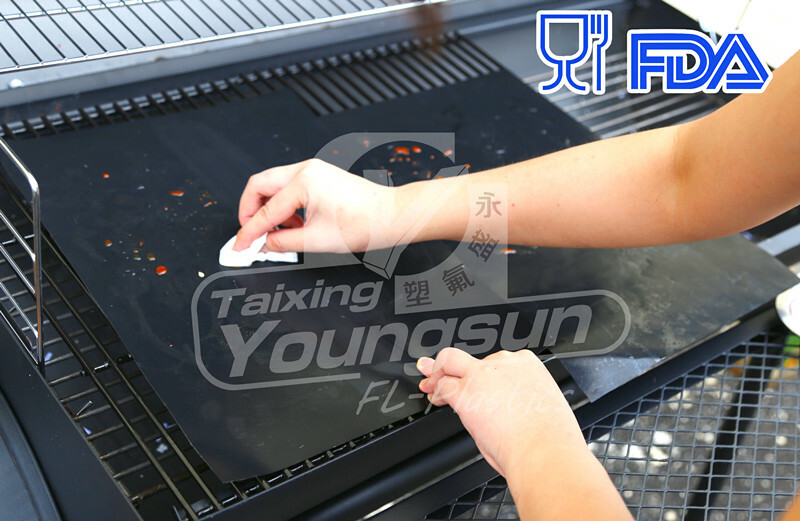 - Smoke would be prevented by mat, rather than smudging the foods directly. 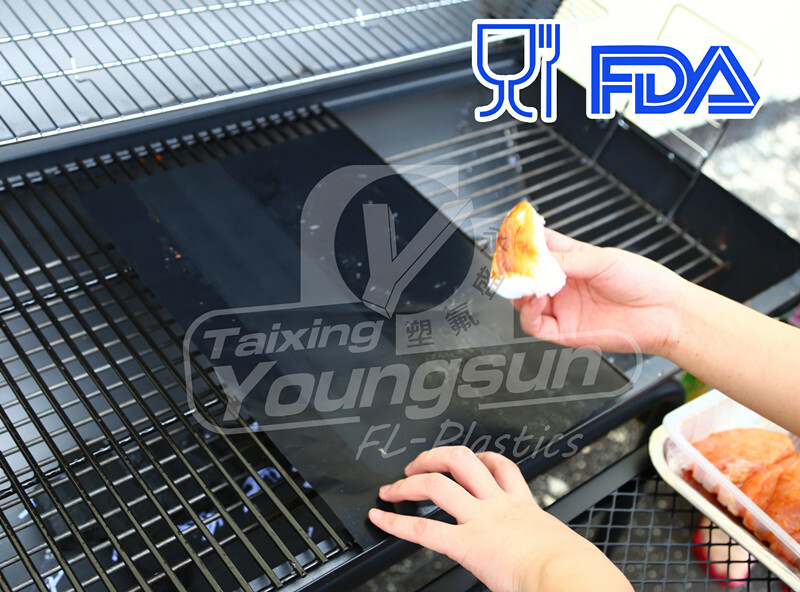 -Our BBQ grill mat have long lifetime, could be reused over and over for years. Normal sizes: 25cm x 33cm, 40cm x 30cm, 46cm x 51cm, 50cm x 40cm, 60cm x 40cm. 13in x 16in, 13in x 17in, 13.5in x 16in, 14.5in x 14.5in, 15.8in x 11.8in. Style: BBQ Mesh, BBQ Mat, Grilling Basket. These are hot-selling size/ color, but we can make specially for you with your request. Set of 2 or 3 pieces in each package normally. 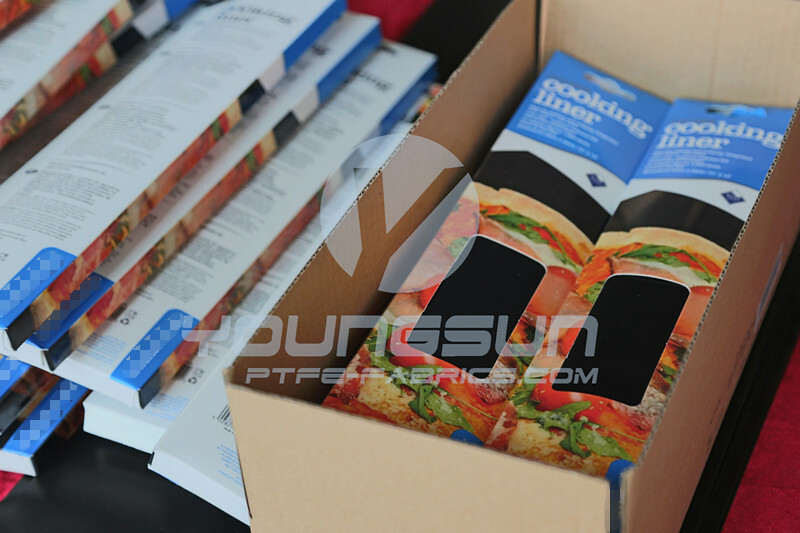 Custom packaging and printing service could be provided. Conventional packaging: Square color box, envelope color box, opp bags+ color sleeves. Supply ability: 10000 pcs per day. MOQ: No MOQ request, we can post it for your trial order. Delivery period: 3-10 working days after advance payment or confirmed L / C received. Payment Terms: T / T, L / C, D / P, Paypal, Western Union. All our mat is FDA & LFGB Certificated, and our factory is BSCI Audit! Looking for ideal Grill Mats Manufacturer & supplier ? We have a wide selection at great prices to help you get creative. All the Grill Matts are quality guaranteed. 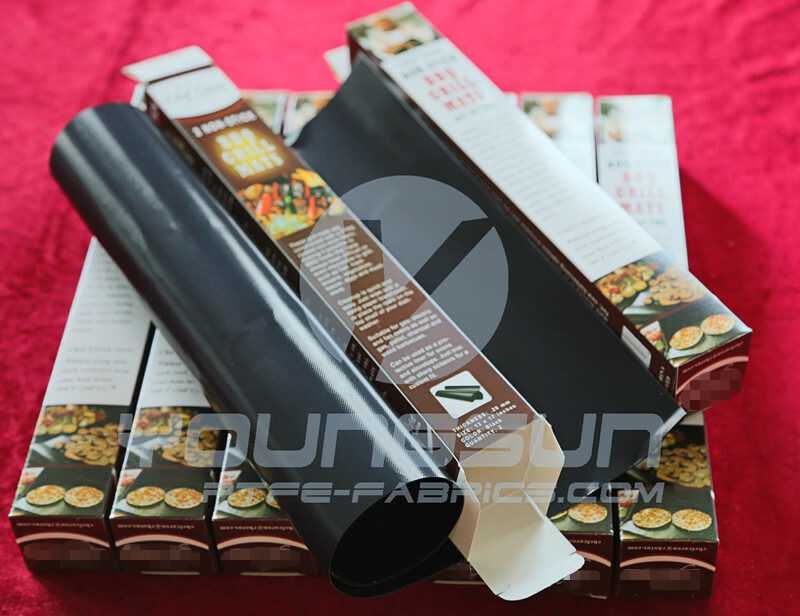 We are China Origin Factory of BBQ Liner. If you have any question, please feel free to contact us.